Hi Folks and welcome to financial independent people. I am Denise, Married and a mom of four. I am very excited to welcome you to this site which is aimed at helping people like you and me gain financial independence by doing the things we love. I am just a regular mom who desired to spend more time with her kids and decided to start a part-time business online. I got my wish after working hard and I believe you can too. People often times, go through life like robots, working 9-5 while juggling kids, school and much more. Many people yearn for something completely different like I did. Life for many move on a fast pace, so much that there is little or no time to relax. People soon start wishing there were more hours in a day, enough for them to do those things they have to do and then the ones they really loved doing. The truth is ” there is another way out that is both legitimate and attainable with hard work. The difference here is that you will be working hard on something you love. Unfortunately life is full of unknowns and in this line of work scammers are out to prey on people in their most desperate times, people looking for change. I am here to help you find legitimate programs that will help you make passive income online. I will also be working hard to help bring to light some of those programs that are scams. Hopefully you will put enough time to succeed and use the rest of your time having fun and actually living your life. I want you to know that I believe in the saying ” Nothing good comes easy and if it seems too good to be true then it probably is a scam”. Please remember this as you browse the internet looking for work from home opportunities and other internet marketing opportunities. I will not promise you over night success, but I will make it clear to you right now that it takes dedication, patience and plenty of hard work to succeed in any business. 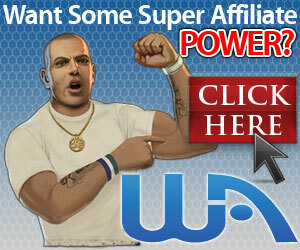 I am a successful entrepreneur thanks to Wealthy Affiliate. About three years ago, I stumbled onto a make money program that promised heaven and earth. Just as I was about to pay for the program, I felt a strong need to investigate it first. It is during this investigation that I learned the program was a scam. I also learn about Wealthy Affilaite as a better legitimate alternative. I visited their website and have been a member since then. I have learned so much from them and I attribute my success to them. I can be reached with questions at tatihdenise@financialindependentpeople.com or on my profile page at wealthy affiliate.